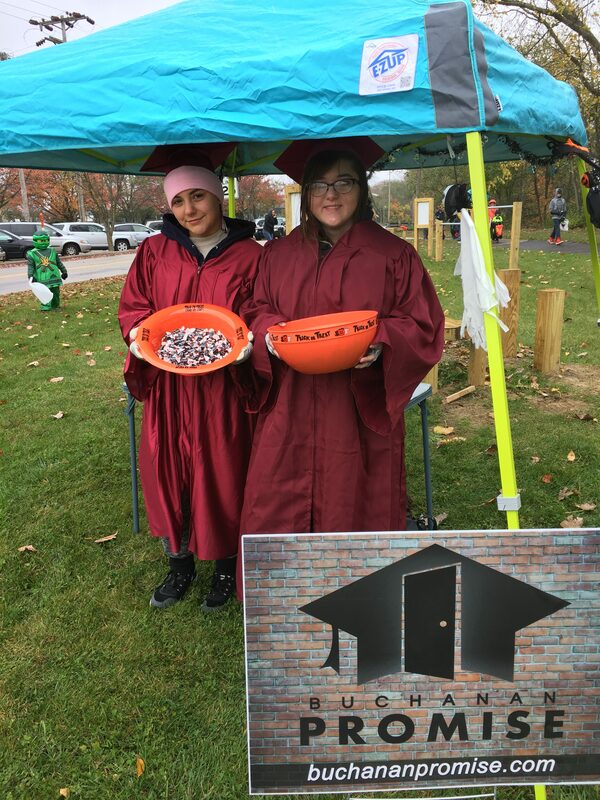 Special thanks to these two future BHS 2018 Graduates for promoting the Buchanan Promise for us this past Saturday at Trek-or-Treat. 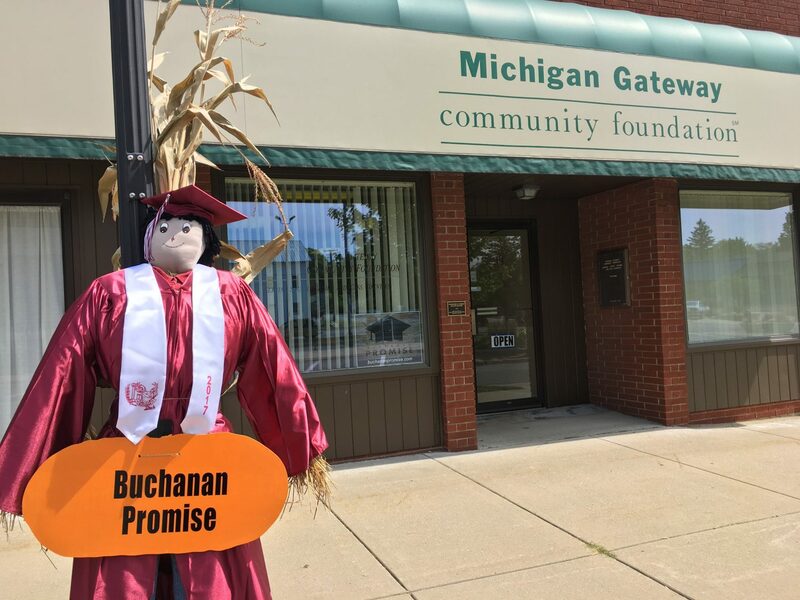 Stop by and see the Buchanan Promise Scarecrow in person! Our office is located next to Milano's Pizza. Enter using the door at 111 Days Avenue as seen in this photo. By jayne lamb|2019-02-15T20:36:37+00:00September 8th, 2017|News|Comments Off on Stop by and see the Buchanan Promise Scarecrow in person! The Buchanan Promise in 15 seconds! By Admin|2019-02-15T20:36:37+00:00August 22nd, 2017|News|Comments Off on The Buchanan Promise in 15 seconds! 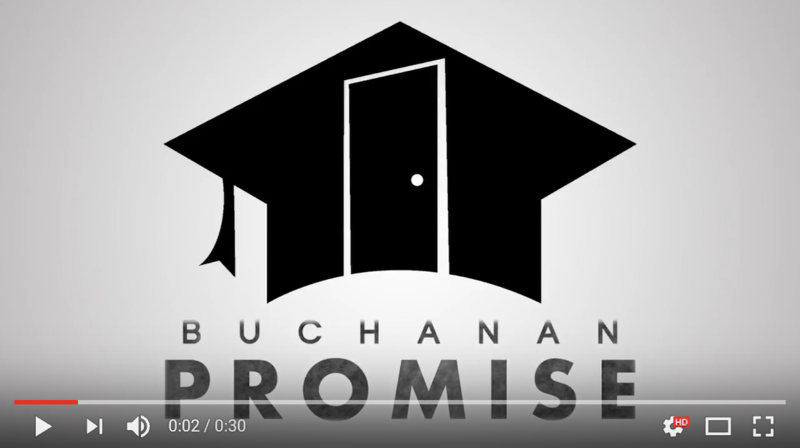 The Buchanan Promise in 30 seconds! By Admin|2019-02-15T20:36:37+00:00August 22nd, 2017|News|Comments Off on The Buchanan Promise in 30 seconds!